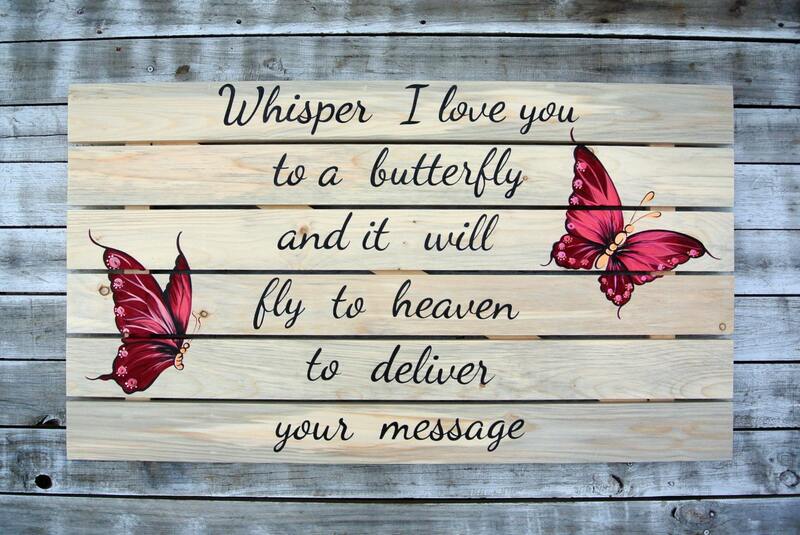 Gift for her, Whisper I Love You To A Butterfly Wooden sign. 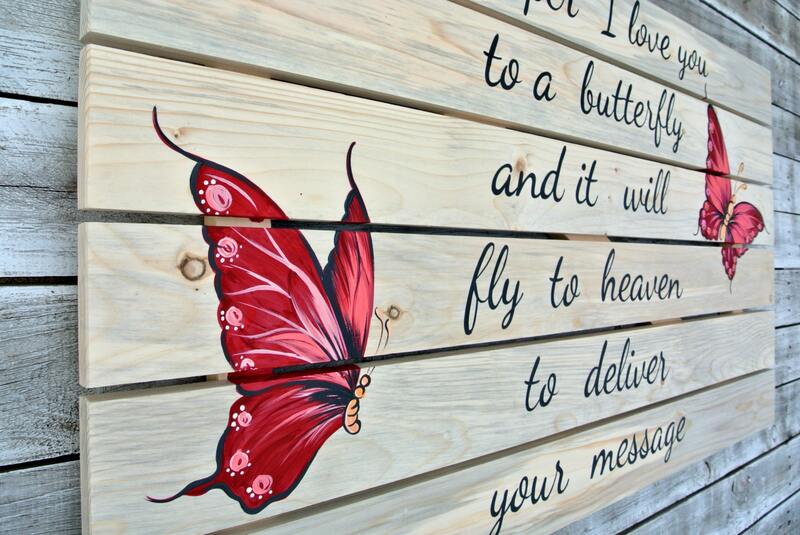 Butterfly Decor Wall Art. Housewarming Gift. 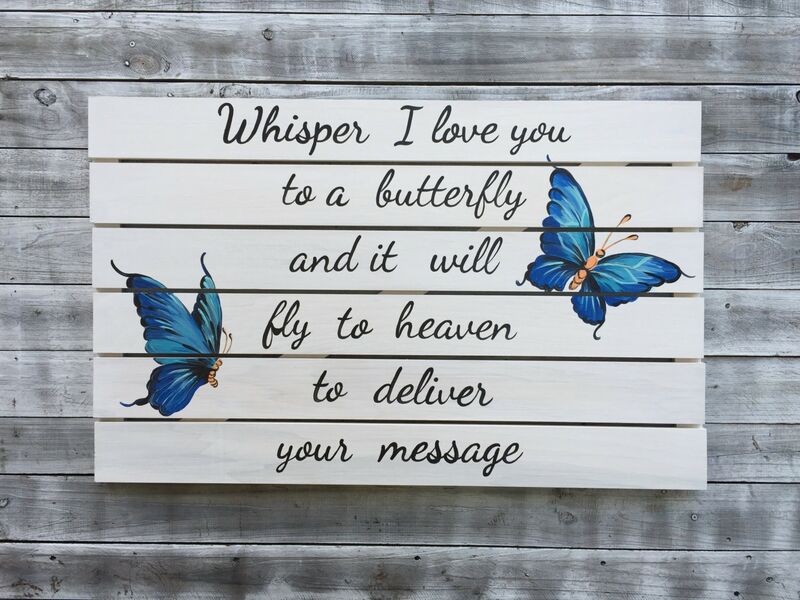 This hand painted inspirational Massage to Heaven wood pallet sign is a comforting reminder that our loved ones are just a whisper away. 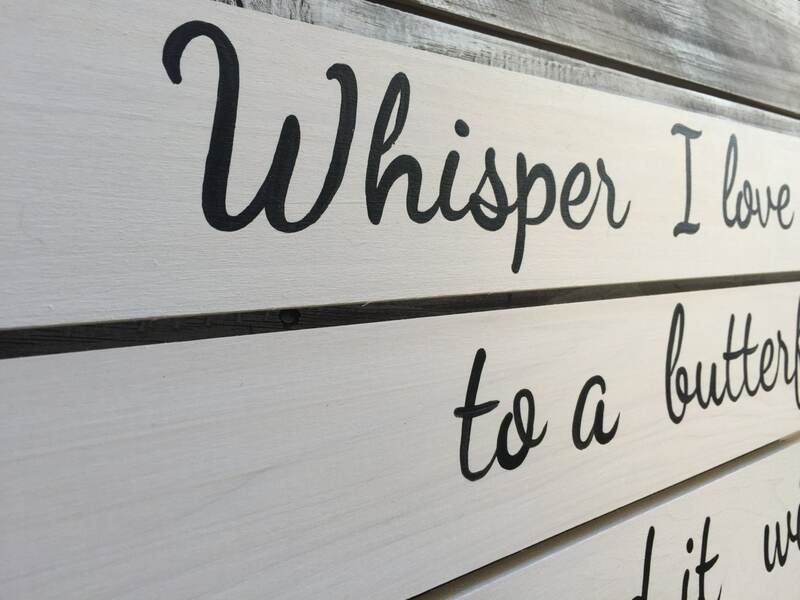 Such an inspirational quote to add to any place! Keep it for yourself or give it to a special someone whom can find peace and encouragement from it. Comes ready for wall hanging fro your house or patio displaying. 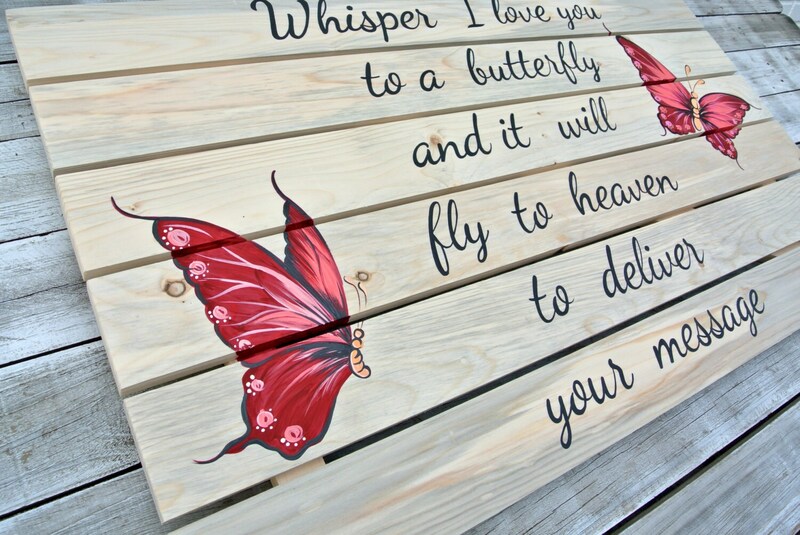 Choose any butterfly design and font colors to convey the style. Approximately measures: 36 x 22 inches. Choose your favorite finish when check out. Different sizes available by request.